Is Imran Khan his own man? On October 31, a three-judge special bench of the Pakistan Supreme Court headed by Chief Justice Saqib Nisar acquitted Aasia Bibi, a Christian woman accused of blasphemy. She was on death row. Many people hailed the verdict and commended the judges who were brave enough to hear Aasia Bibi’s final appeal in a court of law. Justice had finally been served. A woman who had spent almost a decade in jail due to false charges of blasphemy was finally free. It was heartbreaking to read an AFP report in which Aasia asked the reporter in disbelief if she was actually free and whether they would finally let her out. Her disbelief wasn’t misplaced. Within hours of the verdict, we saw violent protests erupt all over the country. Roads and highways were blocked in all major cities while buses and cars were set on fire. Life was paralysed in Pakistan. Fatwas (religious edicts) were issued against the judges who set her free. The Tehreek-e-Labbaik Pakistan (TLP) leadership gave inflammatory and inciteful speeches against the army chief, the prime minister of Pakistan and the three judges. While mainstream media blacked out the coverage of these speeches and protests, social media was full of such videos. 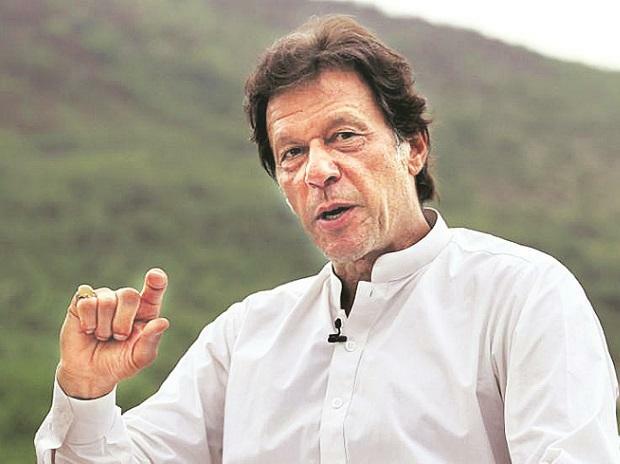 Prime Minister Imran Khan broke his silence and called out to those misusing the name of religion. He warned the miscreants that the state has the power to act if they don’t get their act together. Unfortunately, PM Khan’s speech turned out to be a damp squib. Khan left for China the next day while the country dealt with a virtual lockdown. No arrests were made, no action was taken. In fact, two days after the PM’s speech, his government signed an agreement – nay, a surrender document – with the protestors. It was a shameful surrender. We have seen such ‘agreements’ in the past, the most recent one being the PML-N’s agreement with the same lot after the Faizabad dharna (sit-in). But this agreement hurt more: the reason being that the prime minister raised our hopes by giving a dabangg (fearless) speech and then ended up doing nothing. Nobody wants bloodshed but the people of Pakistan expected the state to register cases against those who were calling for a mutiny against the army chief in the military and baying for Supreme Court judges’ blood. They should have been arrested and put behind bars so as to give a message to such elements that the state knows how to deal with them and will not tolerate silently. Some say it wasn’t the prime minister’s fault and that those who were meant to take action against the TLP backed out. Whoever is at fault is not the issue here; the real issue is that the state bowed down in front of a few thousand hooligans. People who have only tweeted against them have faced much worse. It also sent a very dangerous message: if you’re a ‘religious’ mob, we will not touch you but if a civilian so much as dares tweet against us, we will pick him up and teach him a lesson. This also says a lot about our state and its writ. The writ of the state is only for law-abiding citizens who are critical of our state’s flawed policies. It is not for those with guns and it is not for those who will misuse the name of Islam for political gains.